Lewis M. Branscomb (born August 17, 1926 in Asheville, North Carolina) is an American physicist, government policy advisor, and corporate research manager. He is best known as former head of the National Bureau of Standards and, later, chief scientist of IBM; and as a prolific writer on science policy issues. Following World War II service in the U.S. Navy, Branscomb received a B.A. in physics from Duke University in 1945. He received his Ph.D. from Harvard in 1949, and remained two additional years as a Junior Fellow. These years, and his interactions with scholars as diverse as Clyde Kluckhohn, Merle Fainsod, William Fairbank, and Edward Purcell, kindled a lifelong interest in broad policy issues. No less remembered from this period, Branscomb played the role of "Professor" in Tom Lehrer's 1951 "The Physical Revue", premiering several Lehrer songs in early versions. Branscomb joined the U.S. National Bureau of Standards in 1951 as a research physicist. Rising in management through several levels, he became the founding chair of the Joint Institute for Laboratory Astrophysics (JILA), and was in 1969 appointed director of the National Bureau of Standards by President Nixon. 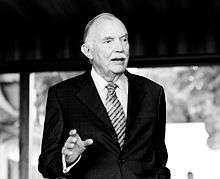 In 1972, Branscomb moved to IBM Corporation as vice president and chief scientist, and was later a member of the IBM Corporate Management Board. In 1986, he moved to Harvard as director of the Science, Technology and Public Policy Program in the John F. Kennedy School of Government at Harvard University, holding that position until 1996. Branscomb was a member of President Johnson's Science Advisory Committee (PSAC) from 1964 to 1968, during which time (a critical early period of the Apollo program) he chaired PSAC's Panel on Space Science and Technology. Under President Reagan, he was a member of the National Productivity Advisory Committee and was chair of the National Science Board (1980-1984). Other honors include president of the American Physical Society (1979), elected memberships in all three U.S. national academies (NAS, NAE, and IOM)(as well as the American Philosophical Society), and honorary degrees from 15 universities. In 1998, Branscomb was awarded the Okawa Prize "for outstanding contributions to the progress of informatics, scientific and technological policy and corporate management." Branscomb is an author of more than 500 scholarly publications and 11 books. He has served on the boards of several corporations (including General Foods and Mobil) and many non-profit organizations. For a continuous period of 57 years Branscomb and/or his father, B. Harvie Branscomb, served as a trustee of Vanderbilt University. 1 2 Branscomb Family Foundation, Lewis Branscomb Professional Biography. Wikimedia Commons has media related to Lewis M. Branscomb.